Electricity is the foundation of much of our modern lives. We often take it for granted, and won't notice it all—until it's suddenly absent. When problems arise with our electrical systems, we need to get them repaired as soon as possible in order to get back on with our daily lives. Attempting to fix these problems on your own, however, can be a detriment to your safety. Even if you don't get hurt while doing the actual repair, if anything at all is done even slightly wrong it can be a huge hazard to you and your family in the future. Always using a professional ensures thorough, safe work, especially when you use one of Sure Line's Uniondale electricians. All of our Uniondale electricians are professionally trained and licensed contractors. On top of that, we constantly strive to provide superlative service, doing the best work around at the most reasonable rates. 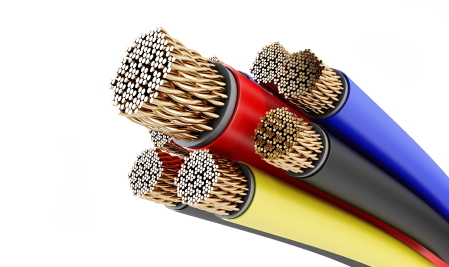 We'll be able to easily handle any electrical job and we'll treat you and your home with the utmost respect. Give us a call to schedule your appointment and we'll be happy to help. All of the electrical repairs we provide are the best in the area, and that's because our Uniondale electricians are the most highly trained and experienced. Whether you need to have a ceiling fan installed or your entire home's wiring redone, we can tackle the job more quickly and efficiently than any other electricians. Our electricians are committed to your full satisfaction, so you won't only get quality workmanship, but also a respectful, professional contractor. When working on any repair we'll find the source of the problem and not just treat the symptom. This way, you're guaranteed that the trouble won't recur. We'll also provide the fastest service we can, because we know you need the job done to get back to your daily life. Set up your appointment today! Modern homes use more electricity than ever before, with more devices, gadgets, and appliances than we could have ever imagined in the past. This also means that many panels are no longer up to the task of keeping up with all the electricity that's used. When you call one of our Uniondale electricians about a panel upgrade or replacement, we'll go over all of your options, working with you to decide what's best for your household. Depending on your particular home's usage and your local codes and standards, we can figure out exactly what work needs to be done, and we'll leave all final decisions up to you. Give us a call to start by reviewing your options. Making sure that your electrical system has been properly maintained and isn't on the brink of a major failure is an important thing to do if you're moving into or selling a house, or if you simply haven't had any electrical work done is quite some time. Our Uniondale electricians will be extremely thorough and make sure any work that needs to be done is brought to your attention. Major Uniondale Home Remodel - Upgrade Your Electrical Service!